Unique opportunity at Riverfront Park! This unit is unlike any other. 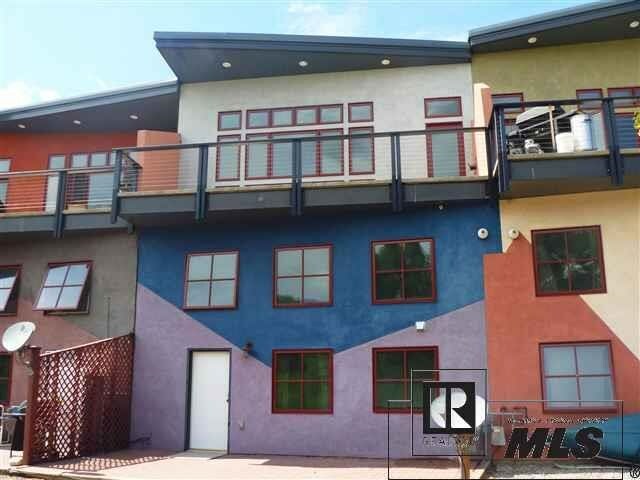 Upstairs unit finished with 2 bedrooms plus mezzanine (the square footage in the mezzanine is not included in the listing information) with 2 full baths, high quality finishes including granite countertops, modern kitchen, large great room, and heated patio. Downstairs finished as studio unit with full bath. Large overhead door plus ADA accessible half bath. Both units have fantastic views of the Yampa River and Mt. Werner, with ease of access to the Core Trail, free bus route, and highway. Do not miss this opportunity! This unit has several possibilities!